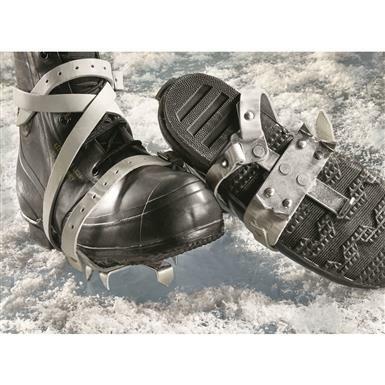 Slip-ups are a thing of the past thanks to proven military deep-freeze traction tech. 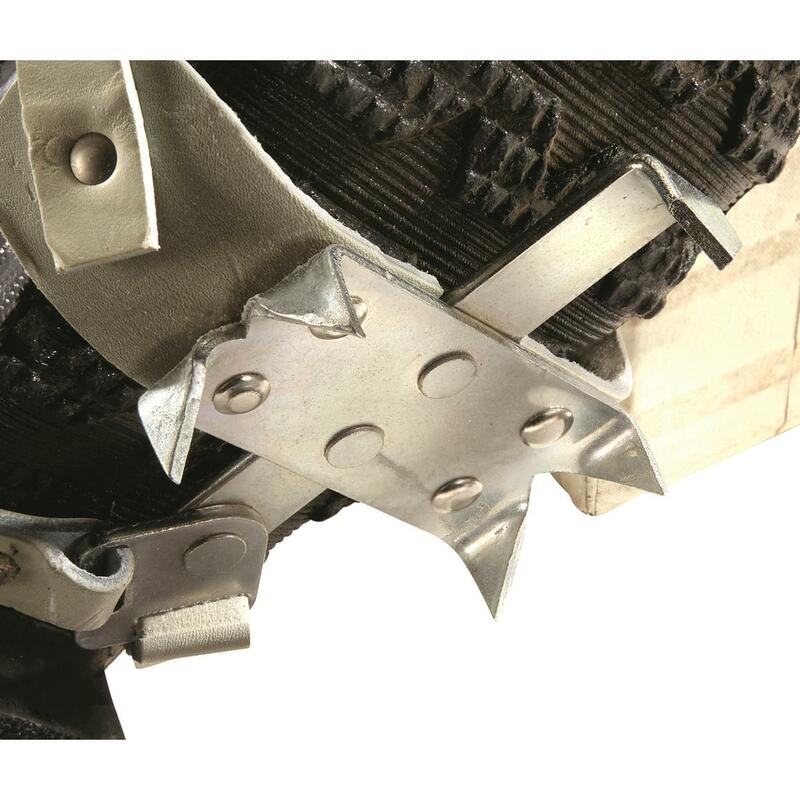 Vicious steel spikes sink in deep, offering no quarter to the most perilous ice. 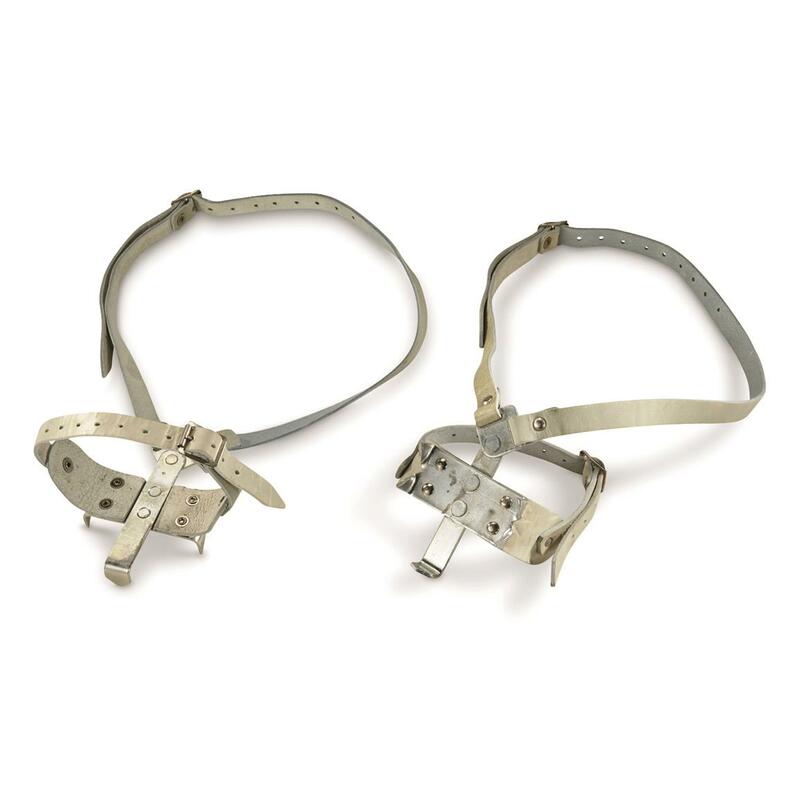 Adjustable leather straps for a secure fit, rock-solid military steel takes hit after hit.